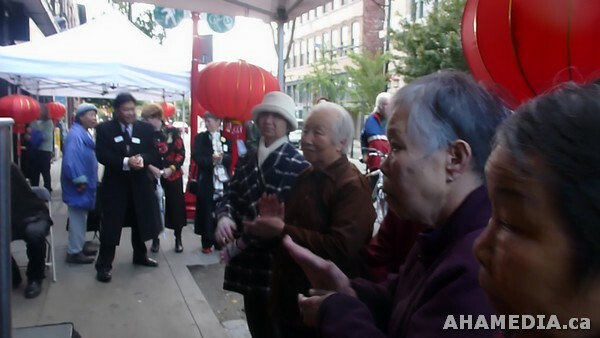 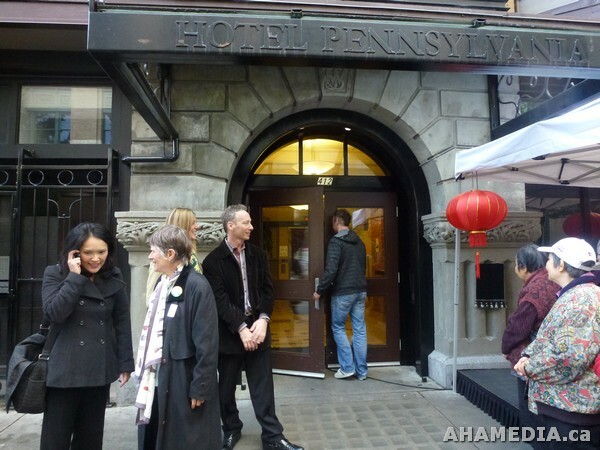 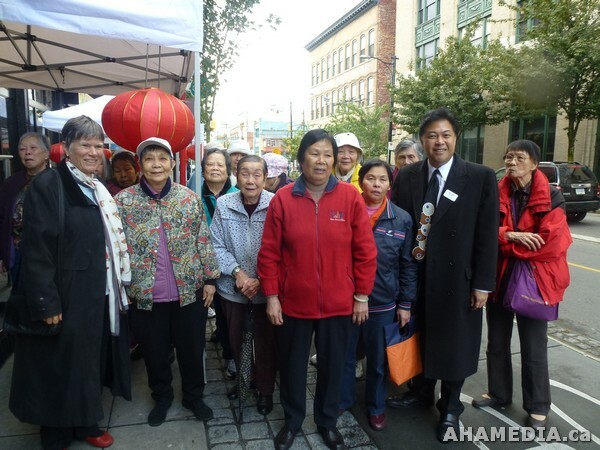 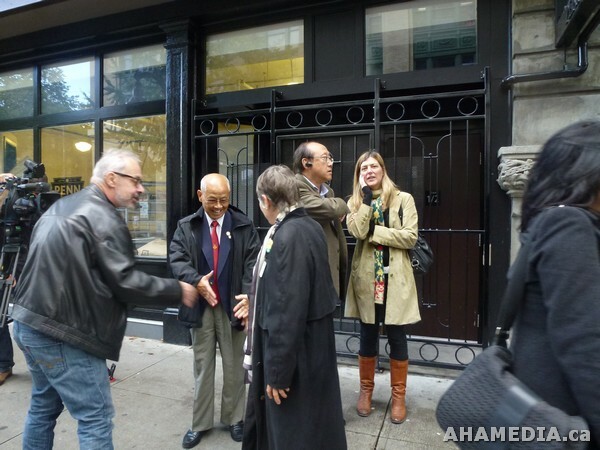 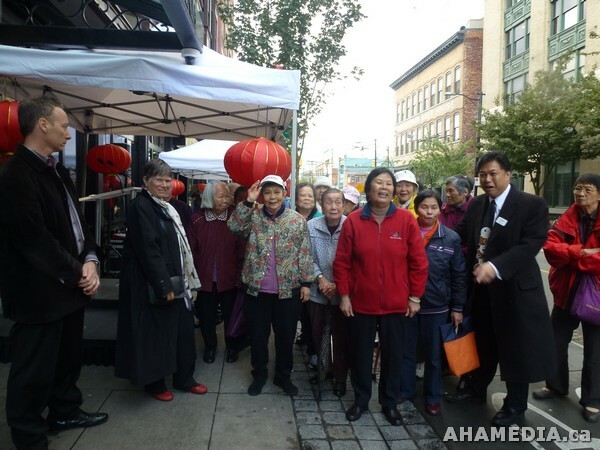 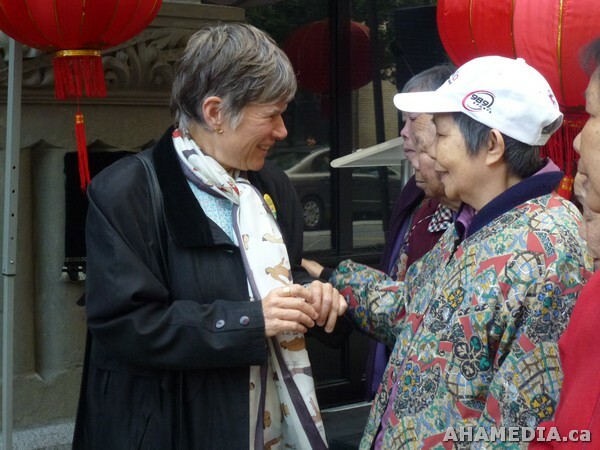 The Chinese Freemasons and the PHS Community Services Society co-hosted a ceremony to unveil a plaque to commemorate the 100 anniversary of Dr. Sun Yat-Sen’s visit to Vancouver and his stay at the Pennsylvania Hotel, originally named the Woods Hotel. 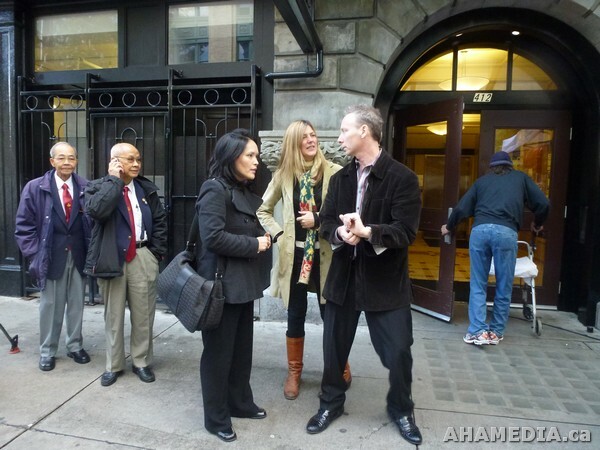 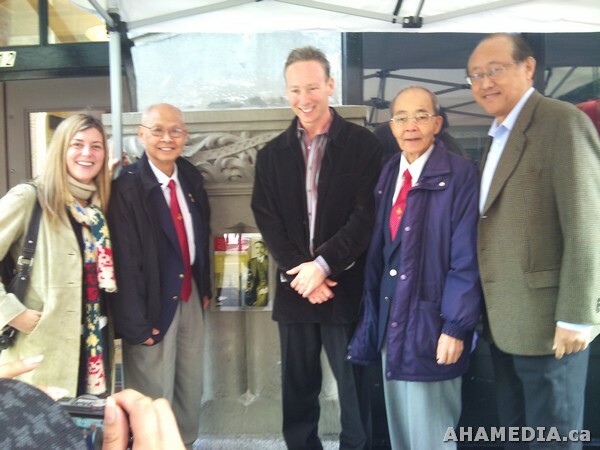 Event: Unveiling of the plaque and a reception after. 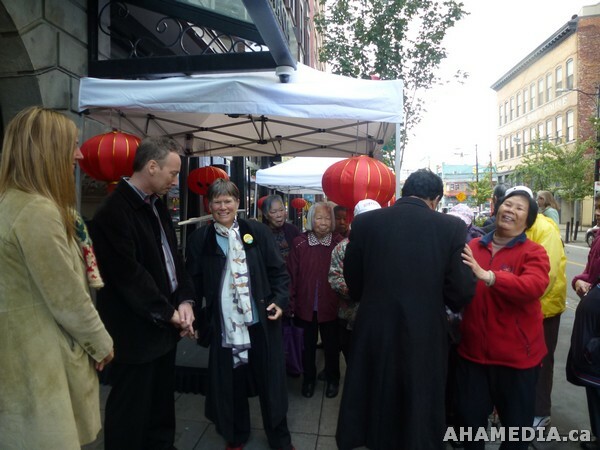 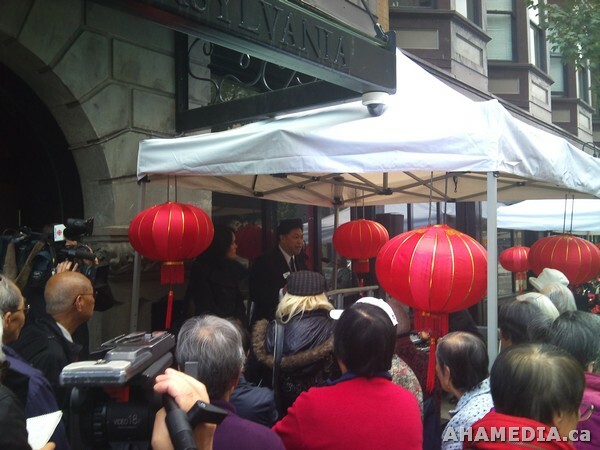 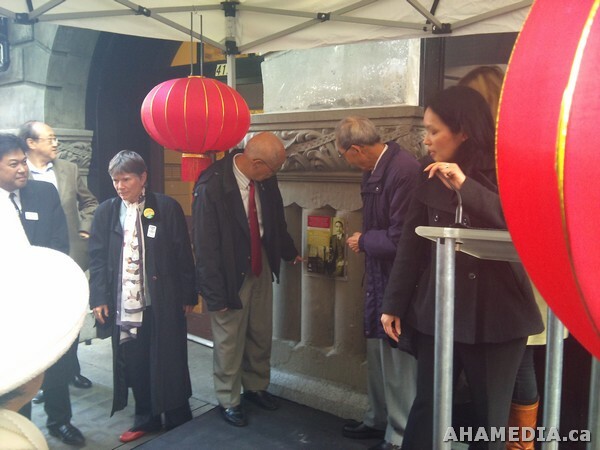 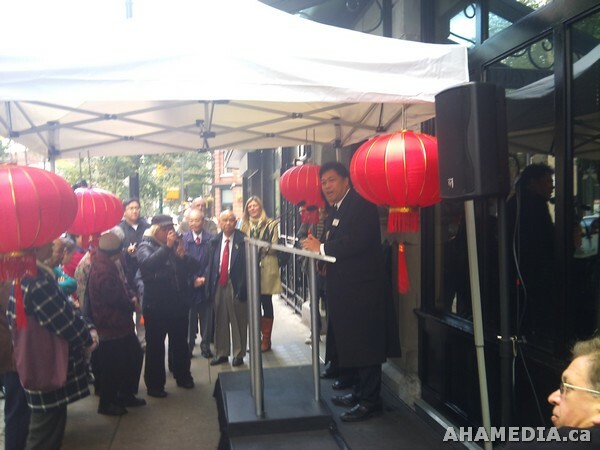 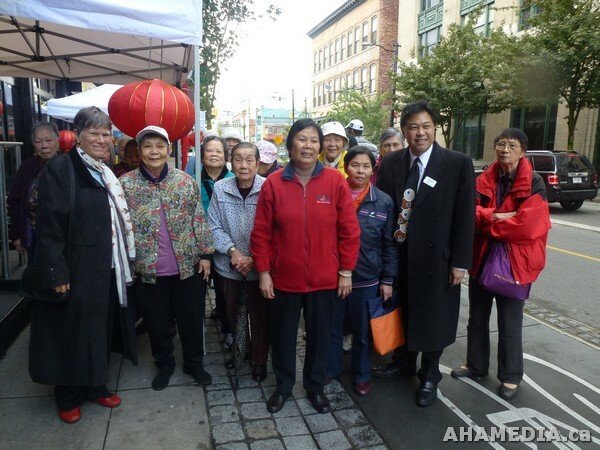 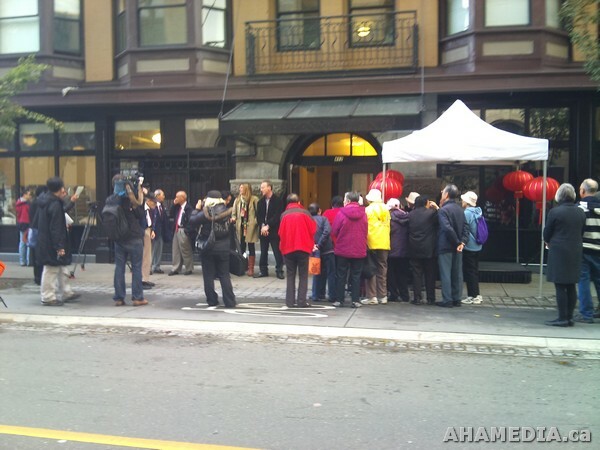 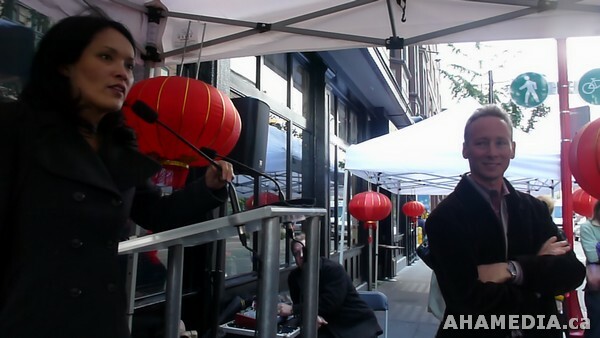 Chinese Freemasons and the PHS Community Services Society co-host the unveiling ceremony of a plaque to commemorate the 100 anniversary of Dr. Sun Yat-Sen’s visit to Vancouver as well as his stay at the Pennsylvania Hotel in February 1911. 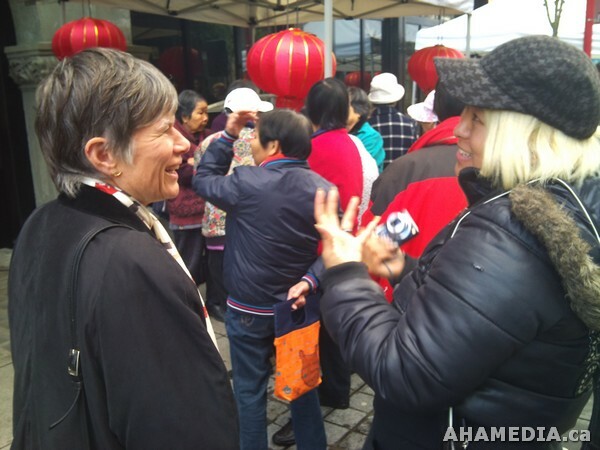 This is also the 100 anniversary of the Xinhai Revolution, which ended thousands of years of monarchy rule in China and established the first republic in Asia. 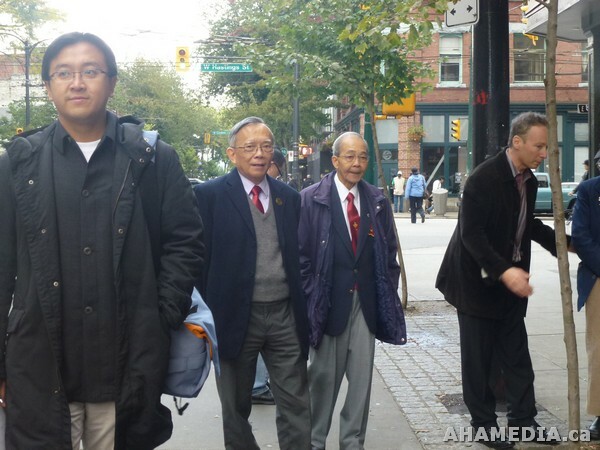 Dr. Sun Yat-Sen led the Xinhai Revolution to victory in 1911, the same year he visited Vancouver and he is popularly considered the founding father of modern China. 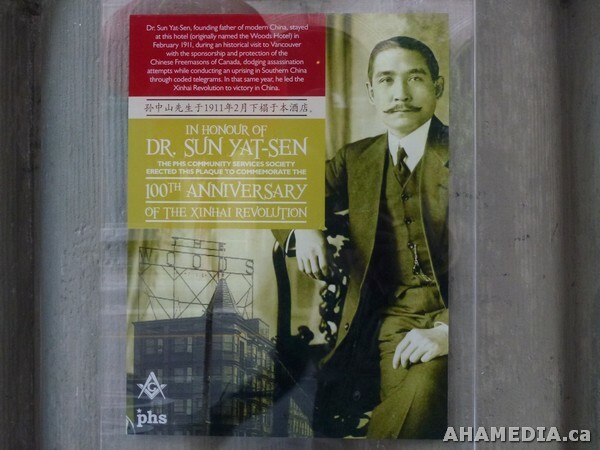 BACKGROUNDER: Dr. Sun Yat-Sen played a key and leading role in the 1911 Xinhai Revolution that toppled the Qing Dynasty in China, ending monarchy rule that has lasted for thousands of years in the China and established the first republic in Asia. 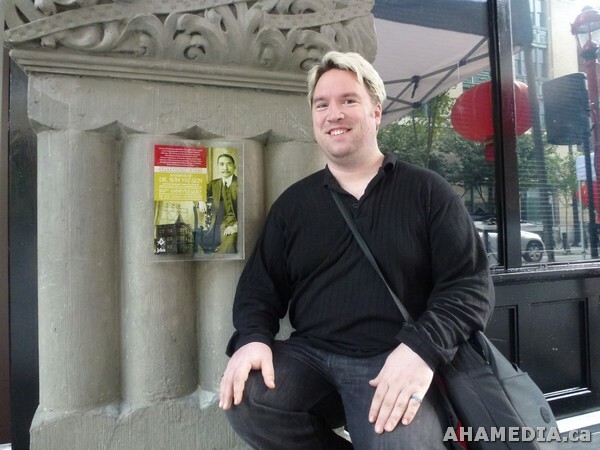 The revolution commenced with an army uprising in the city of Wuchang in central China on Oct 10th, 1911. 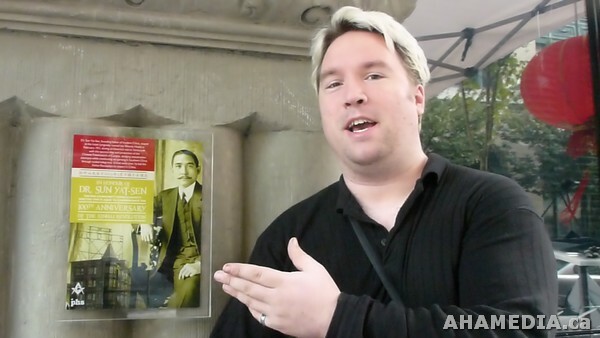 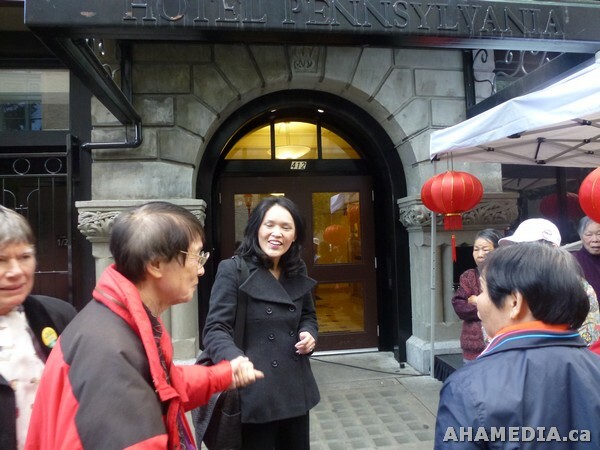 In the same year, in 1911, believed from February 6th to the 18th, Dr. Sun Yat-Sen spent about two weeks in Vancouver. 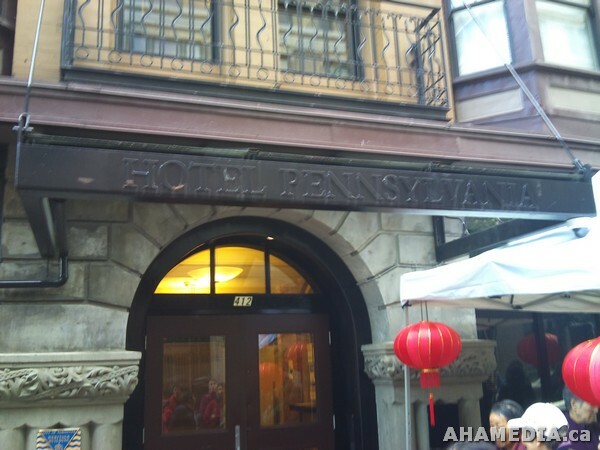 Dr. Sun was a guest of the Chinese Freemason and stayed at Woods Hotel, now the Pennsylvania Hotel, dodging assassination attempts from his adversaries while conducting an uprising in Southern China. 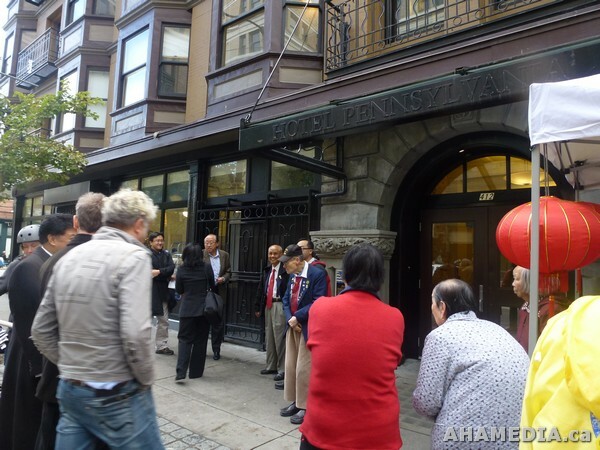 The Chinese Freemason hosted Dr. Sun’s visit in 1911 and help raise tens of thousands of dollars for the revolution, mortgaging their buildings to raise the crucial funds. 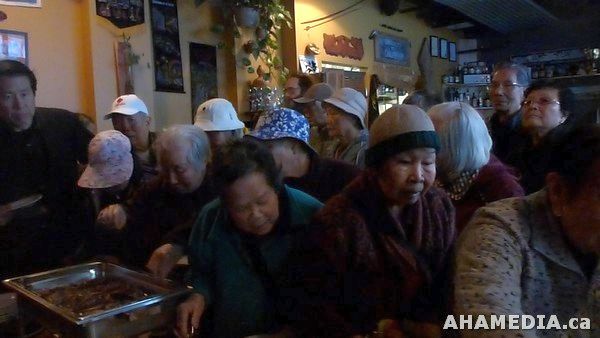 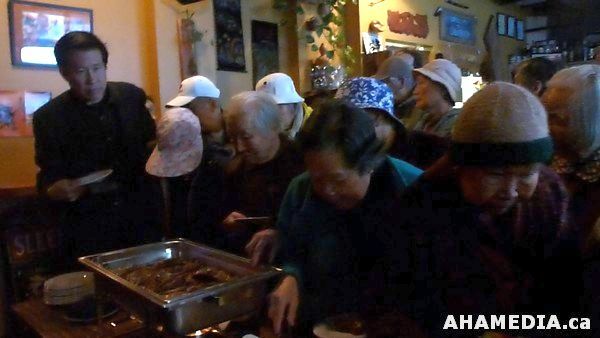 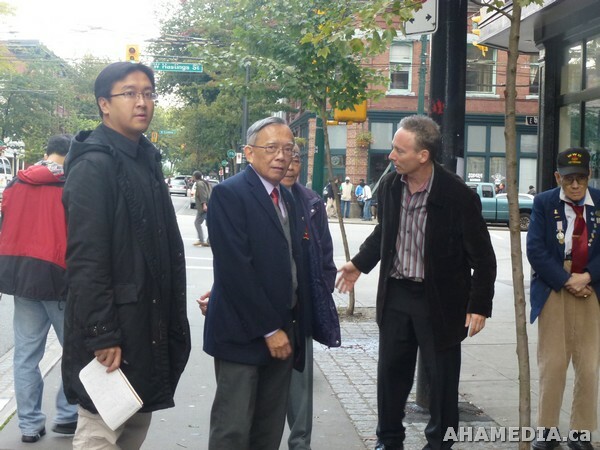 According to the recollection of the Chinese Freemason, they paid a total of $97.30 to settle Dr. Sun’s hotel bill, as well as $195.40 for Dr. Sun’s telegraph expenses. 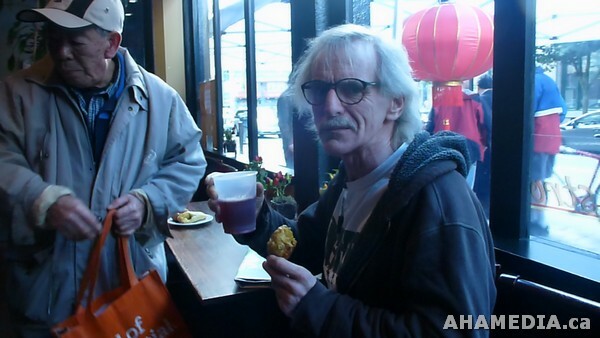 One of the core operations of the PHS Community Services Society is providing housing accommodation to clients with special needs. 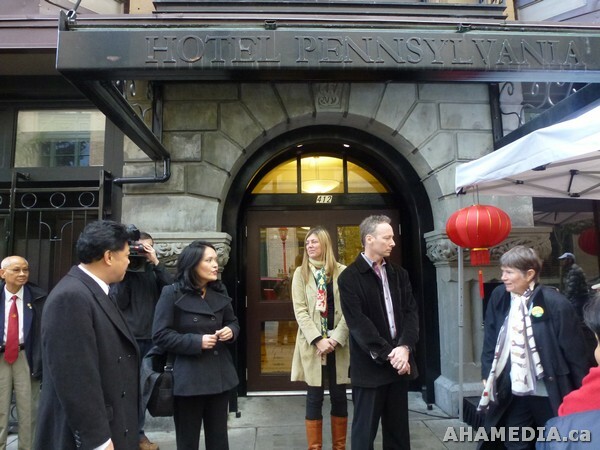 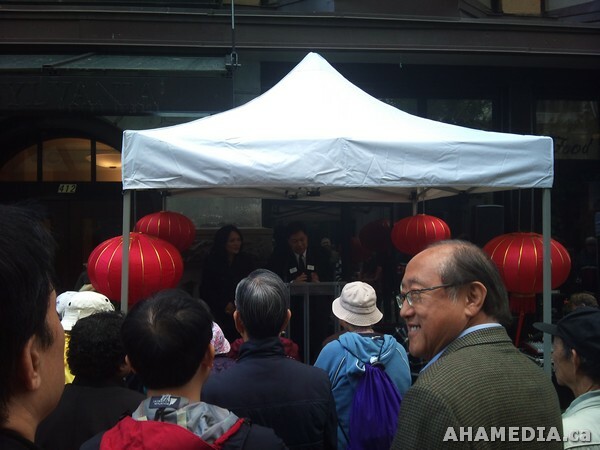 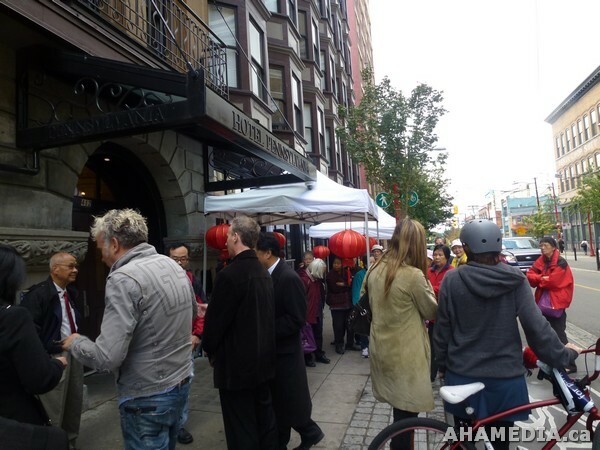 And the first such housing projects for the PHS was the Portland Hotel, formerly called the Woods Hotel where Dr. Sun Yat-Sen stayed 100 years ago. 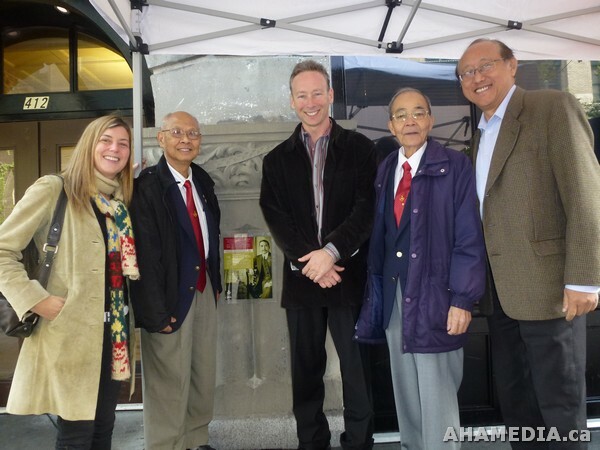 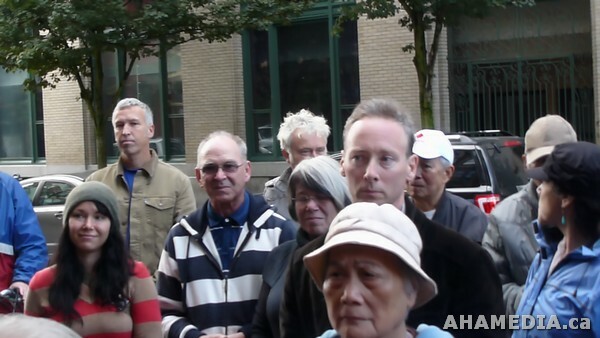 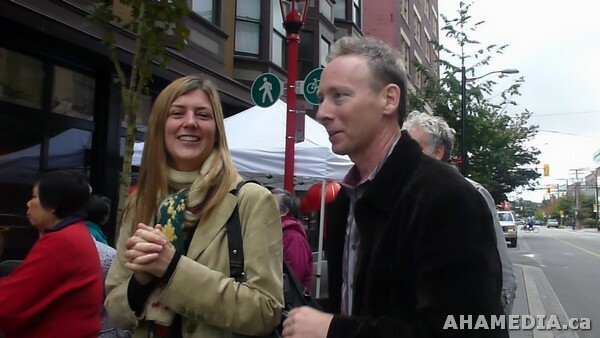 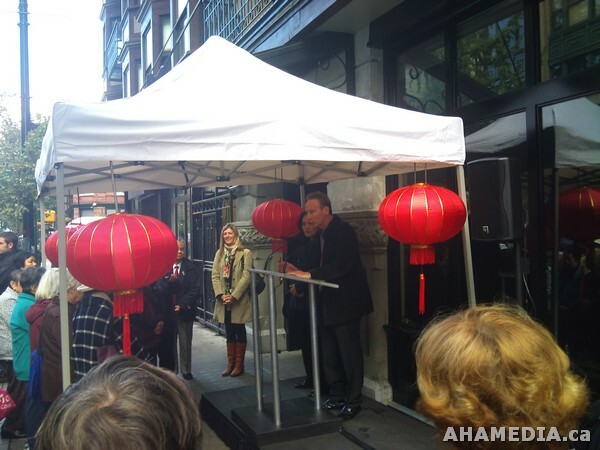 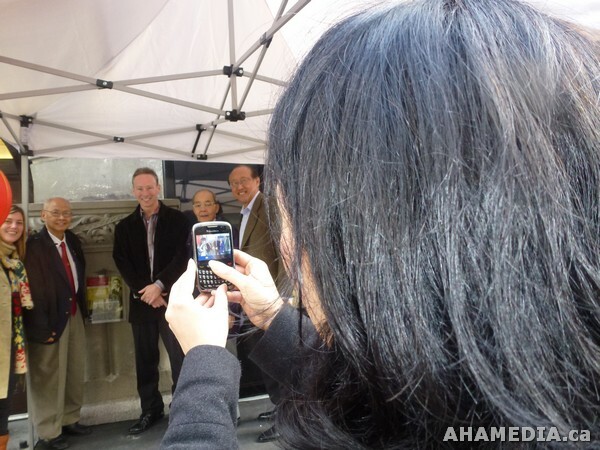 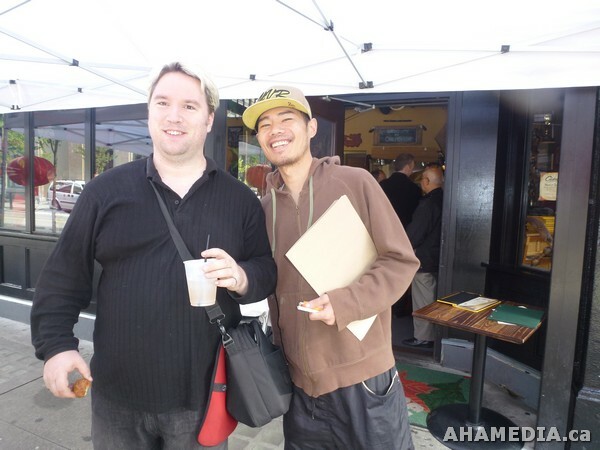 AHA MEDIA recently had the great pleasure of witnessing the unveiling of a very special little piece of Vancouver’s amazing history. 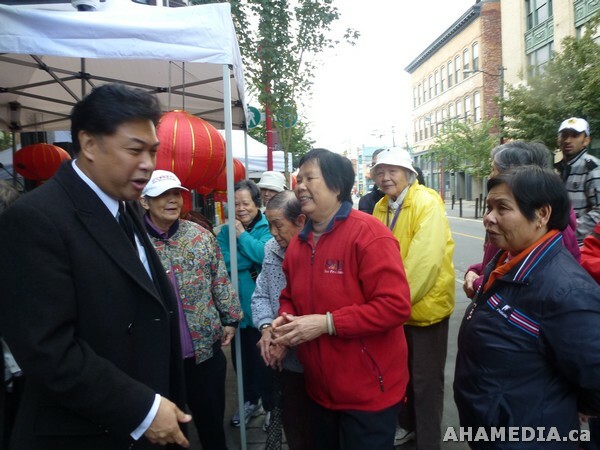 In 1911, Dr. Sun Yat-Sen visited Vancouver to raise support for the revolution happening in China. 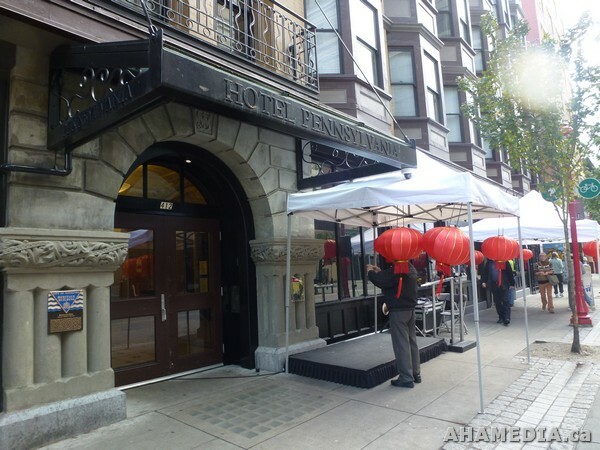 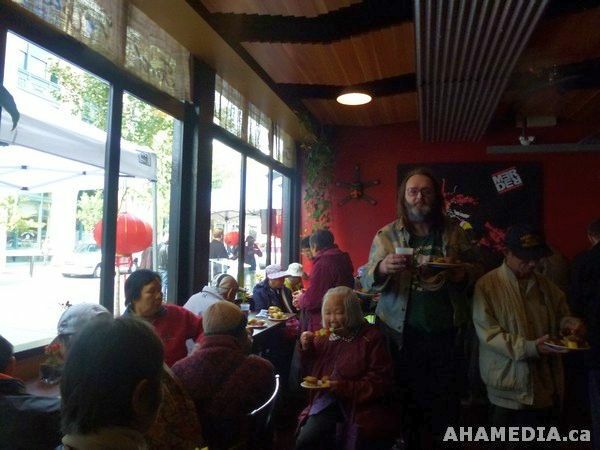 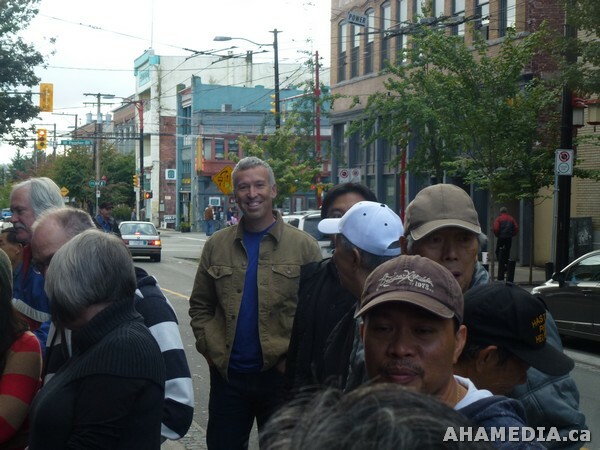 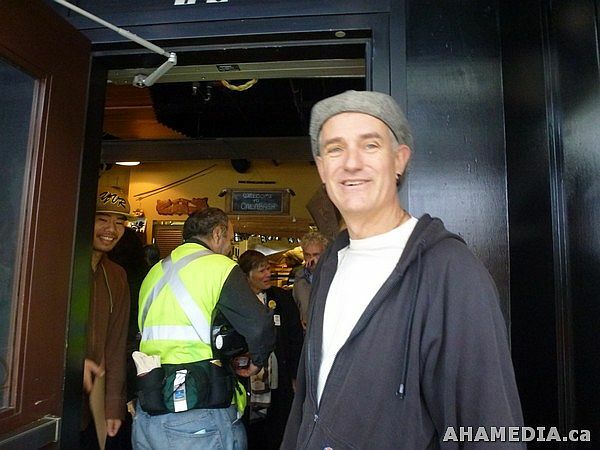 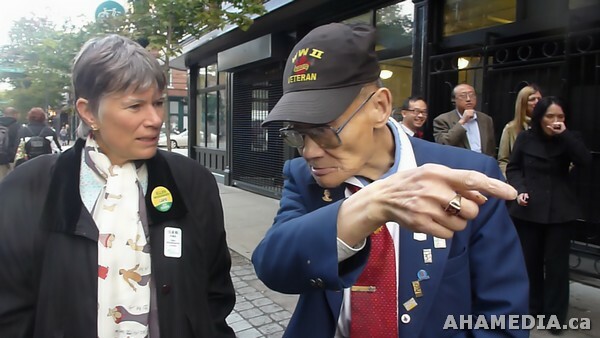 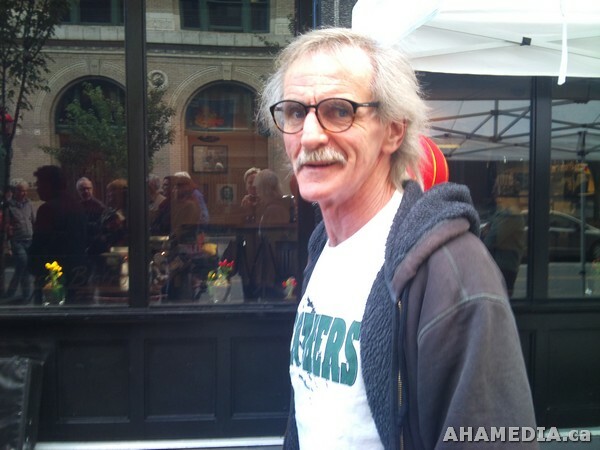 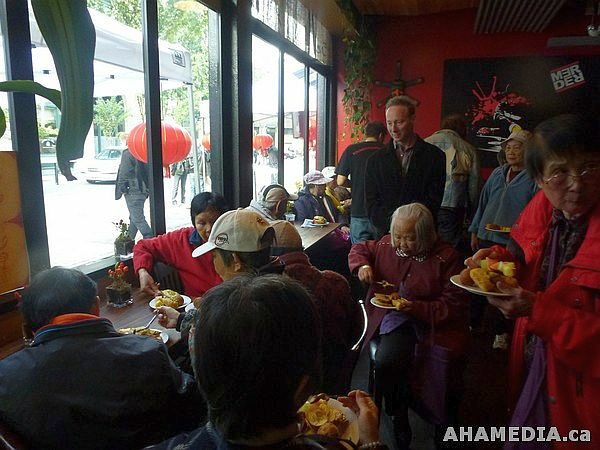 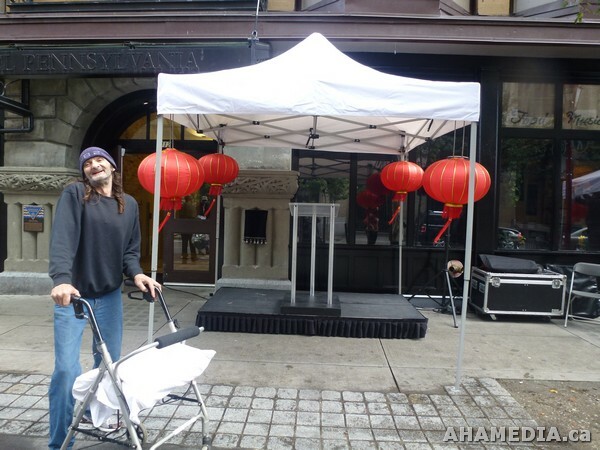 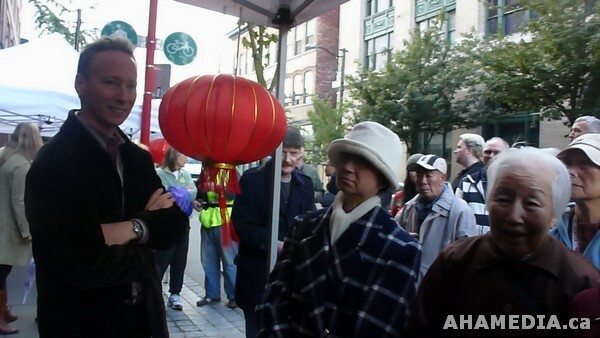 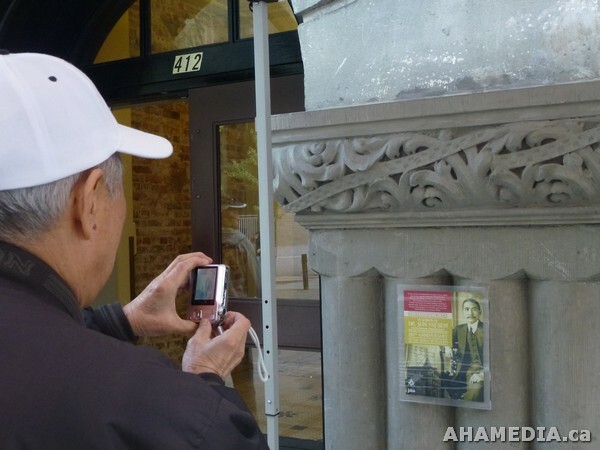 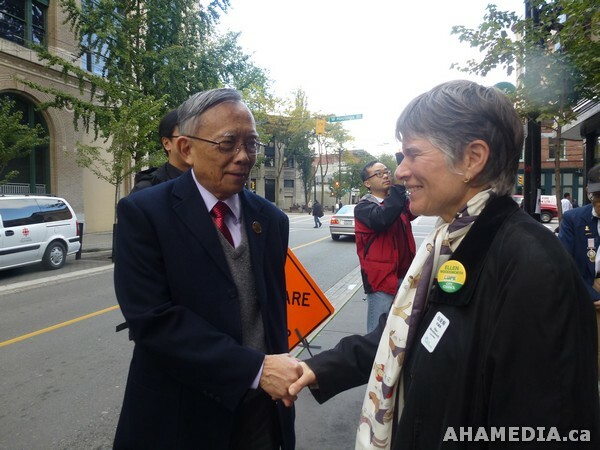 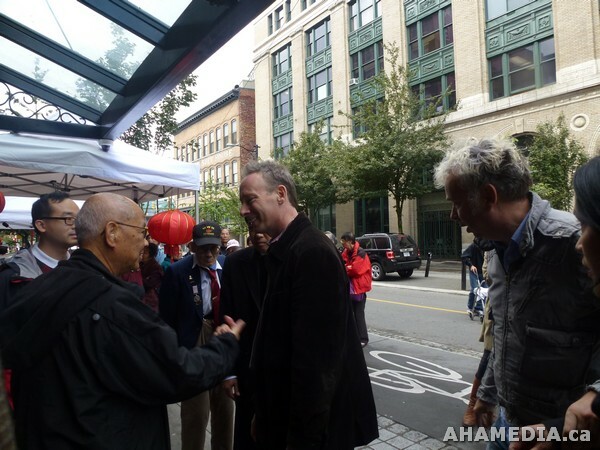 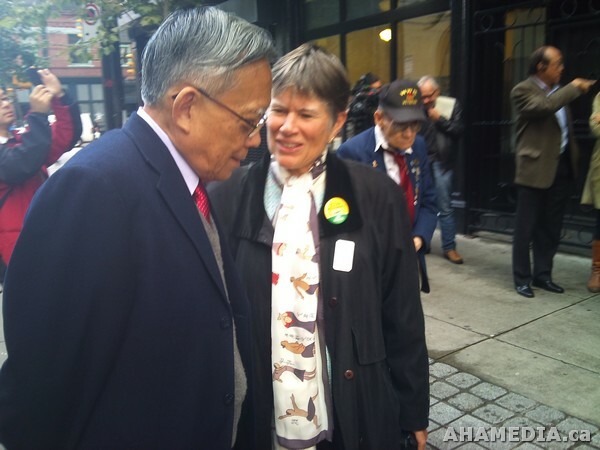 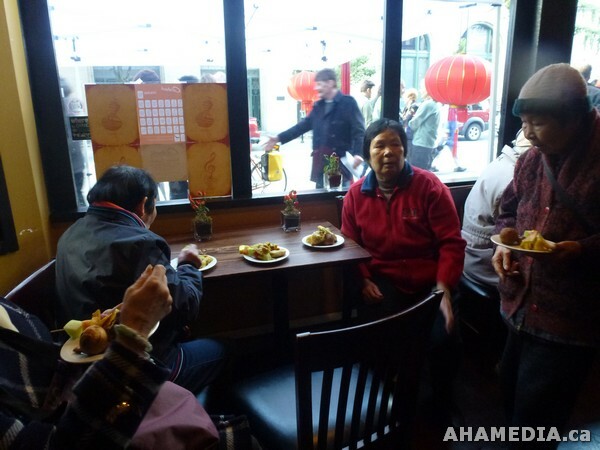 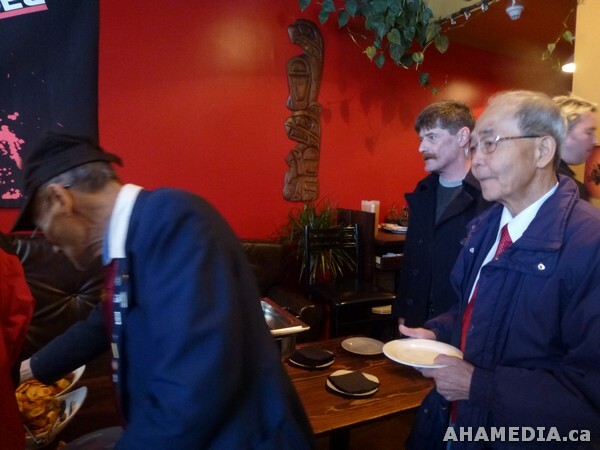 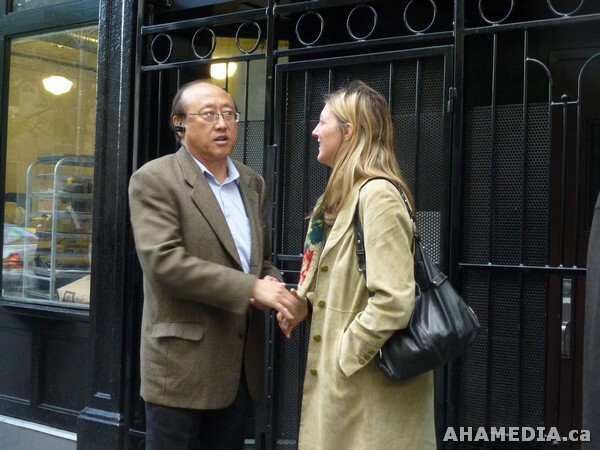 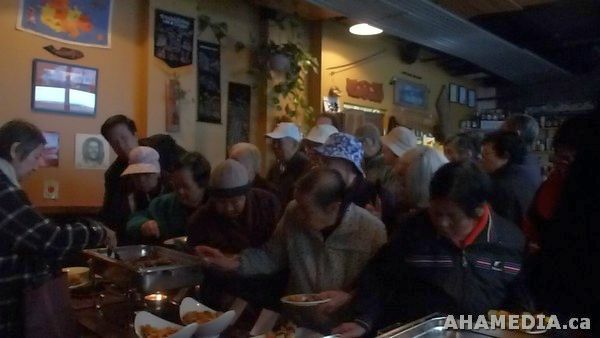 He came to Vancouver and stayed in the Pennsylvania Hotel in our own DTES, welcomed warmly by the Chinese Freemasons society of Vancouver and protected by them as agents had followed him from China to Vancouver and were intent on stopping him. 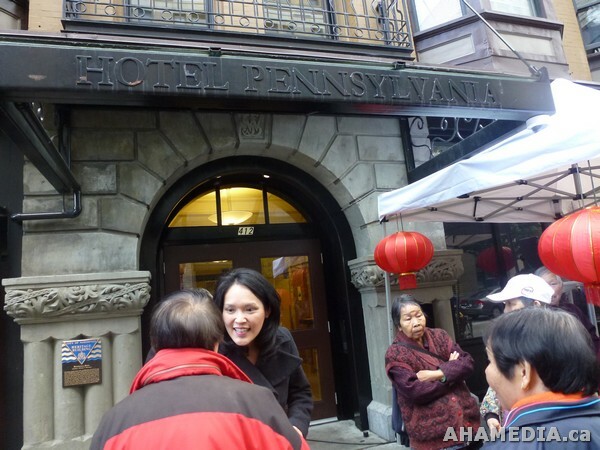 100 years later, the Portland Hotel Society welcomed us all to the recently renovated Pennsylvania Hotel to witness the unveiling of a beautiful plaque commemorating the good Dr’s visit. 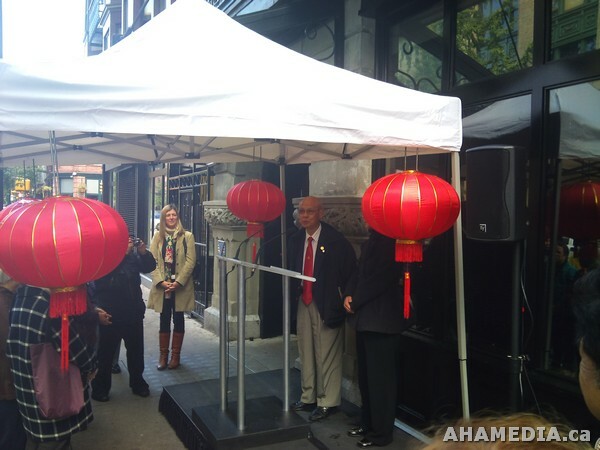 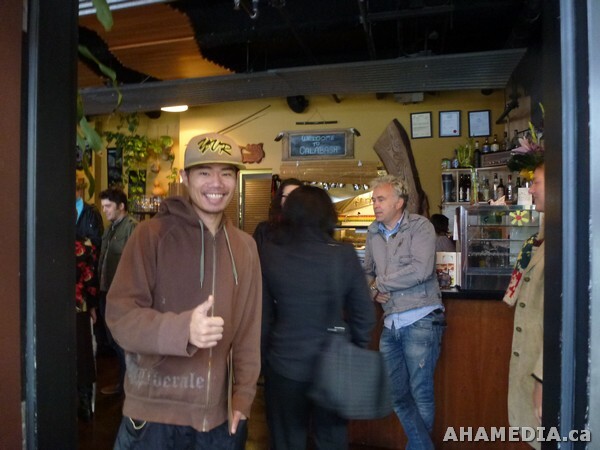 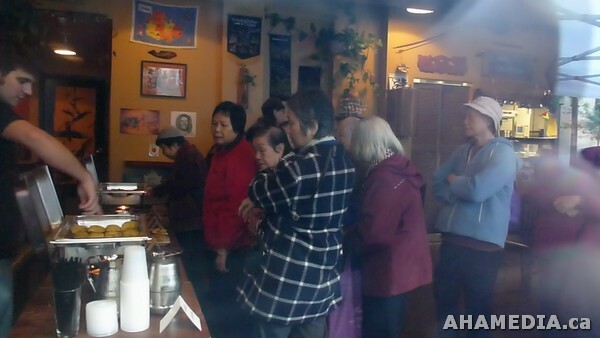 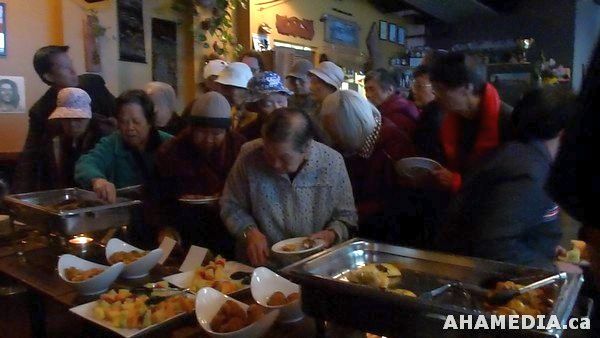 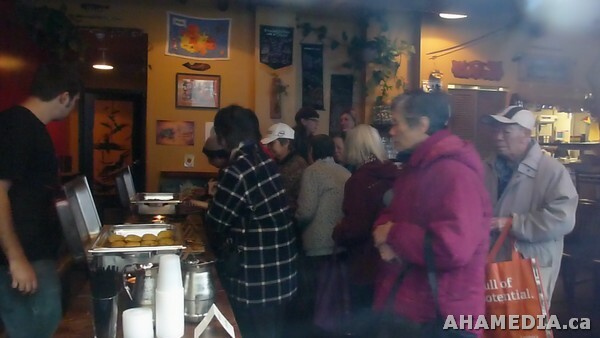 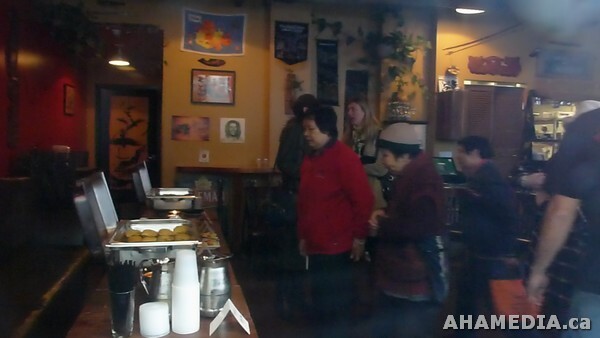 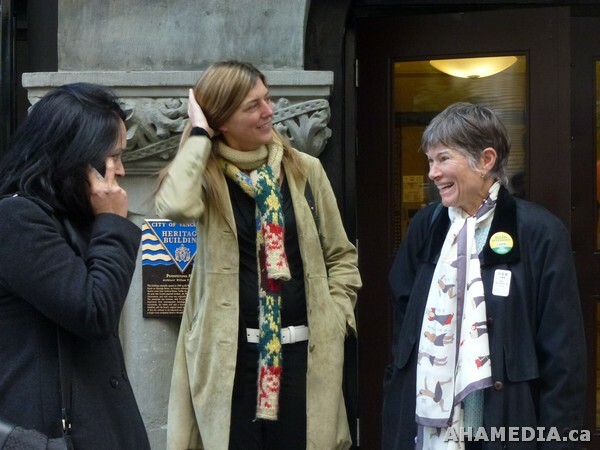 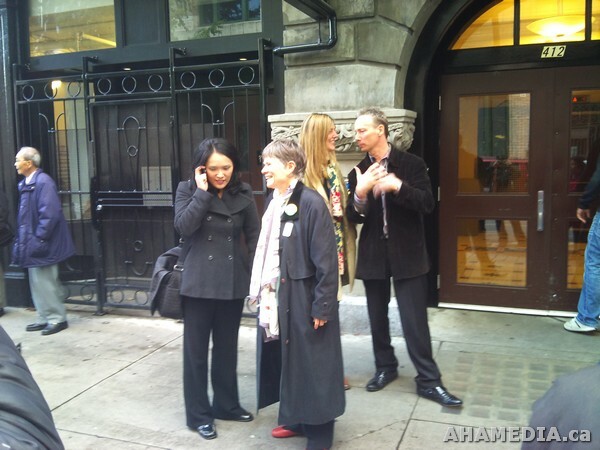 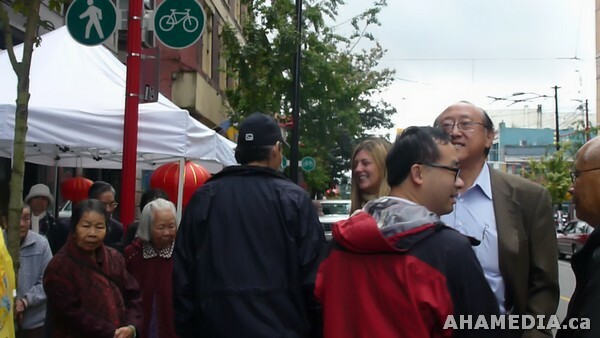 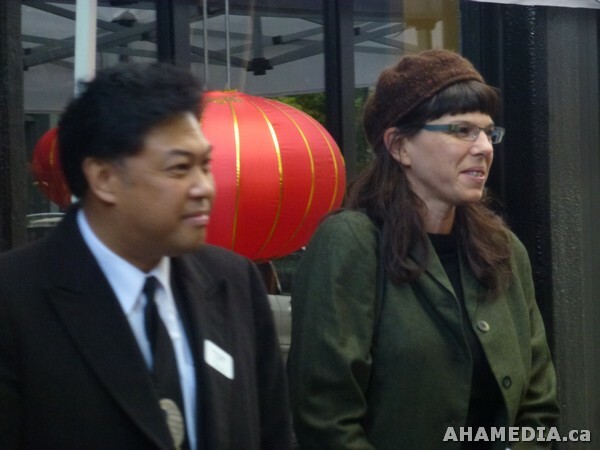 There were many representatives from the city of Vancouver including Councillor Kerry Jang, Councillor Ellen Woodsworth, Andrea Reimer and Sarah Blyth. 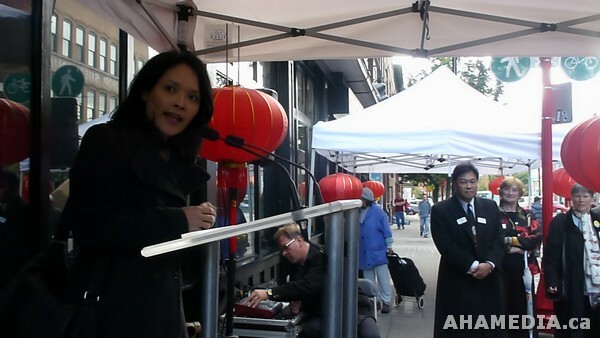 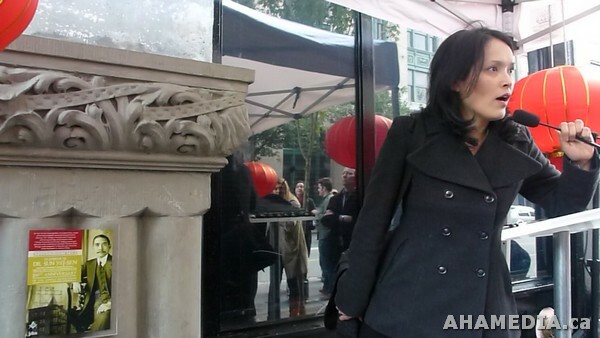 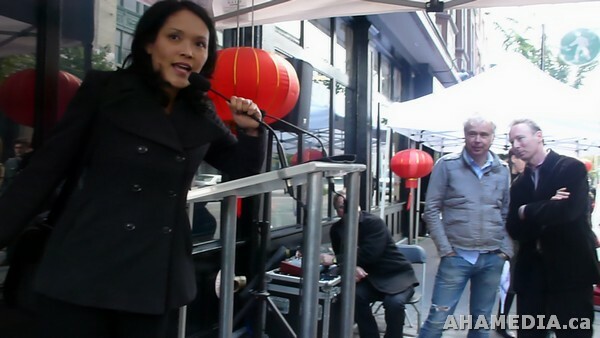 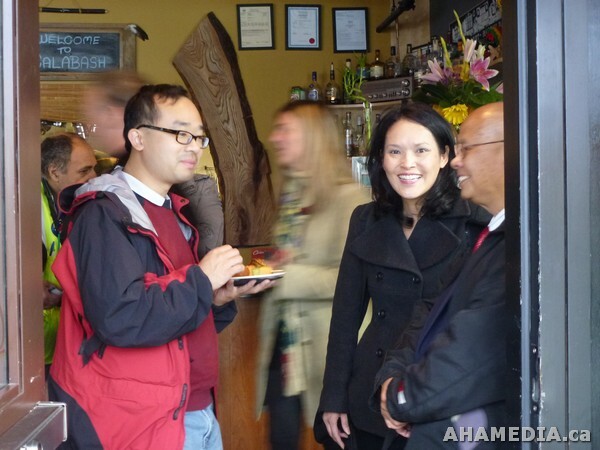 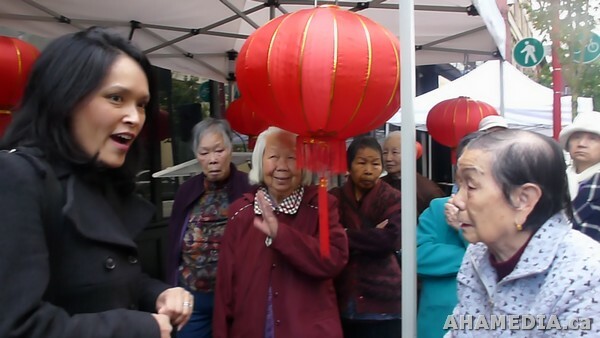 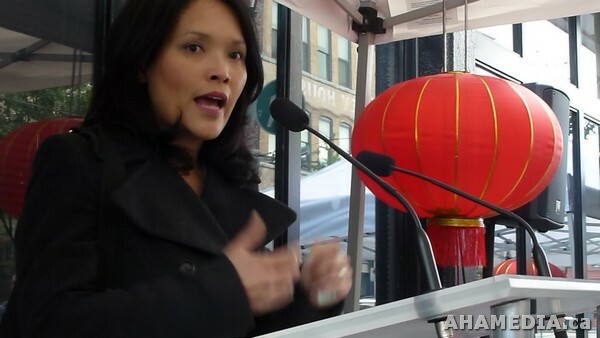 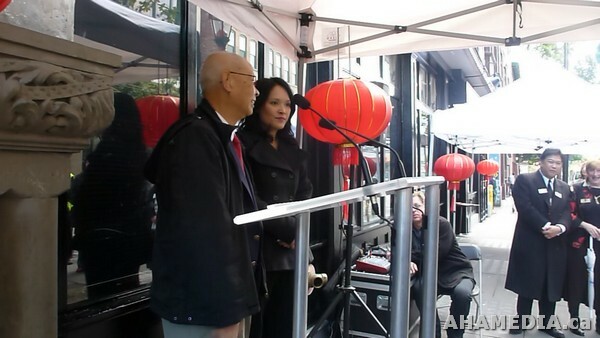 MLA Jenny Kwan who gave a stirring speech in both English and Chinese to the crowd. 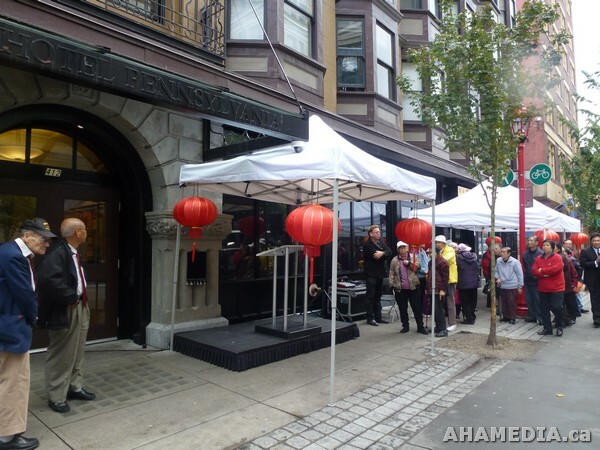 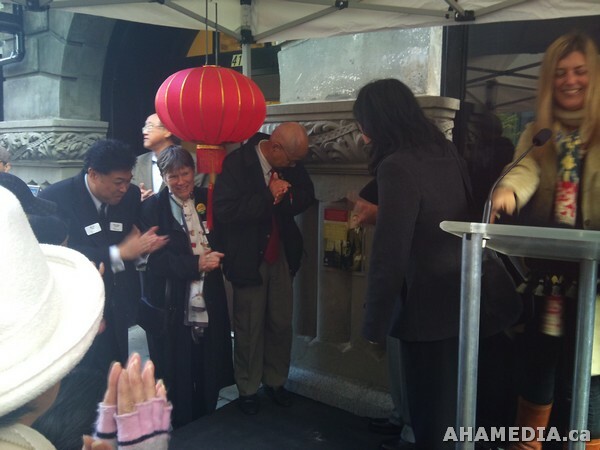 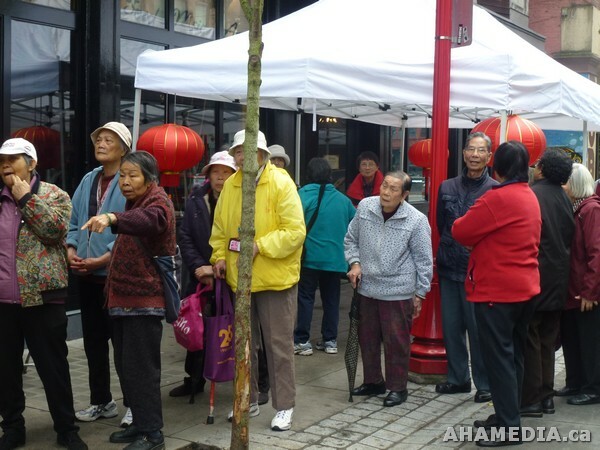 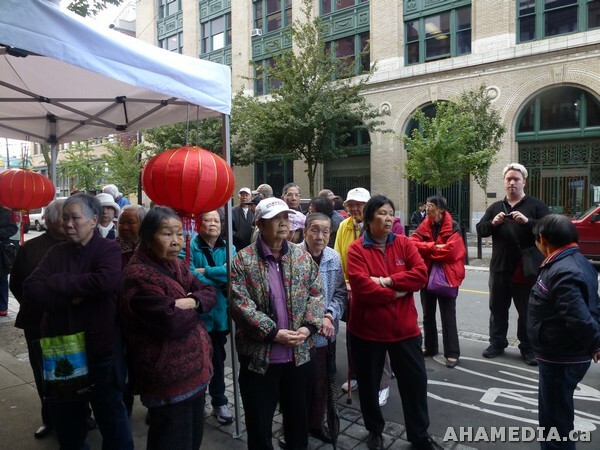 Members of the Chinese Freemasons, people from the Portland Hotel Society, as well as Chinese senior citizens from Chinatown were all present to see the grand unveiling of the plaque. 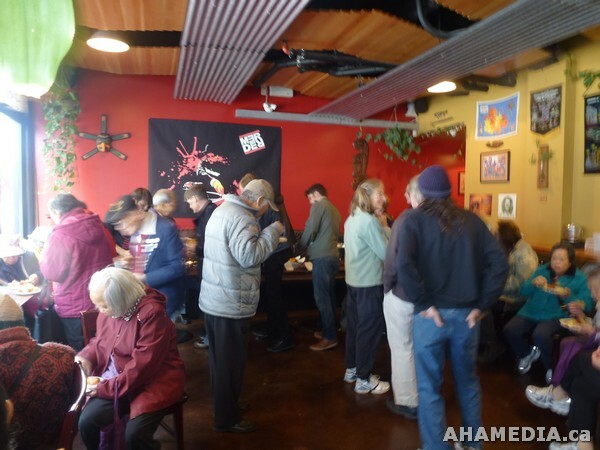 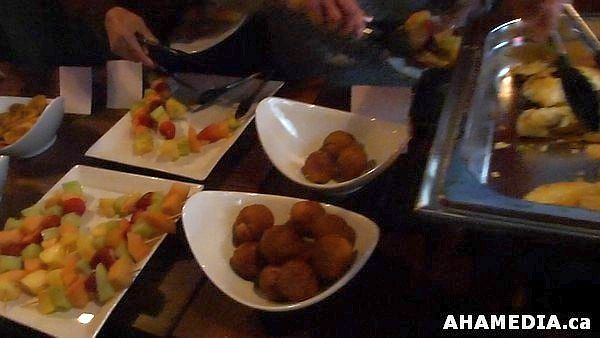 Afterwards, we adjourned to the Calabash Bistro to enjoy traditional Caribbean food and each other’s company on this momentous historic day! 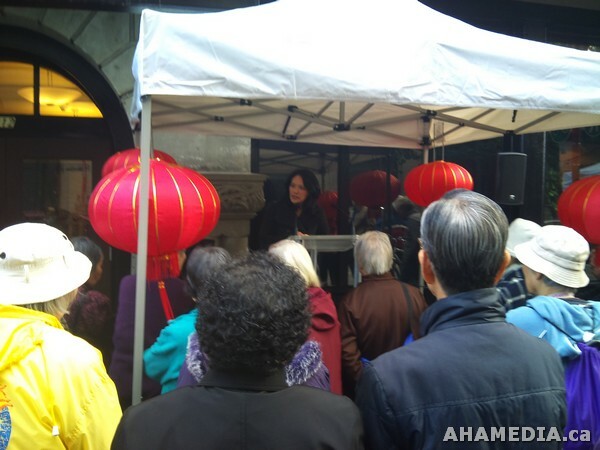 COPE Councilor Ellen Woodsworth speaking on COPE Housing Solutions for Vancouver Downtown Eastside (DTES) MacLure’s Cabs celebrates their 100 year anniversary at CBC Studios in Vancouver!